You are here: Home » Special Sections » World Mission Sunday » What is the Center for Mission anyway? What is the Center for Mission anyway? Twelve years ago, Deacon Mickey Friesen became director of what was known as the Society for the Propagation of the Faith office in the archdiocese. The primary purpose of that office was to facilitate all the appeals for the Pontifical Mission Societies, a pontifical office headquartered in New York. Mickey’s new vision for the office: to be a resource to help deepen and engage the archdiocese in a global mission conscience, animated through education and activities. Thus, the office became the Center for Mission. The formal purpose of the office is to promote the missionary life of the Church and coordinate support for the mission outreach of the Archdiocese of St. Paul and Minneapolis by building bridges of faith, culture and resources to Catholic communities around the world. The emphasis of these bridges focuses on solidarity, mutual respect, and sharing our Catholic spirit to build the Kingdom of God. The office still represents the Pontifical Mission Societies: Society for the Propagation of the Faith, St Peter Apostle, Missionary Childhood Association, and the Missionary Union of Priests and Religious. Appeals are generated from the Center for Mission for these societies throughout the year, which includes the upcoming World Mission Sunday. Contributions to the Society for the Propagation of the Faith through the Center for Mission have helped over 1,150 dioceses in over 120 countries. In addition, reflecting the office vision, we also offer the archdiocese much, much more. For example, several global solidarity and immersion trips organized by the Center for Mission are offered throughout the year. 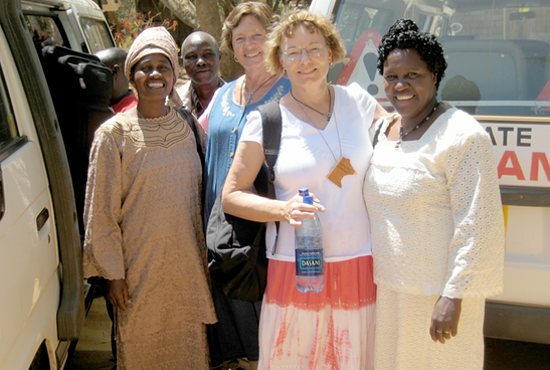 Many have heard of the successful Archdiocesan partnership with the Diocese of Kitui, Kenya. The 10th anniversary of this impactful relationship is next year as another delegation from here will visit Kenya and celebrate with the Diocese of Kitui. This partnership has truly offered life-changing experiences for individuals and parishes in both dioceses. Similar experiences have been realized on shorter immersion trips to countries like Guatemala, El Salvador, Dominican Republic, and Nicaragua and to our archdiocesan mission in Venezuela. Mission formation is also an important focus for the Center for Mission, including children, youth and parishes. The Center for Mission has initiated projects in schools to teach students the value of resources we take for granted, like water and food. These include H2O, Harvest of Hope, Living Water and most recently, the Holy Buckets program. Each month, Mission Intentions are forwarded to teachers that include activities to satisfy Catholic education standards expected in Catholic Schools. The Center for Mission also helps parishes with mission formation by offering consultation to enhance sister parish relationships and through the Mission Cooperation Plan, where representatives from mission dioceses worldwide are assigned to every parish in our archdiocese to awaken a global perspective and request aid as appropriate. In addition to all these activities, the Center for Mission represents Catholic Relief Services and global solidarity appeals from the U.S. Conference of Catholic Bishops. There are many additional projects and activities that the Center for Mission offers for all to engage in mission formation. You might ask yourself after this litany of activities and projects, “How do you fund all this?” The Center for Mission is a not-for-profit Pontifical office that is solely self-funded. We rely on contributions from individuals to maintain a mission presence to serve our archdiocese. This is in the form of one time, monthly, and annual financial gifts that also includes contributions from estates, wills and trusts. For more information about The Center for Mission, contact Eric Simon, 651-291-4446 or Deacon Mickey Friesen, 651-291-4445.